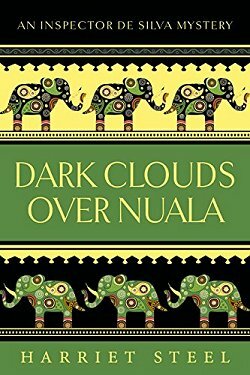 First Line: The man called himself Rana, or Frog. 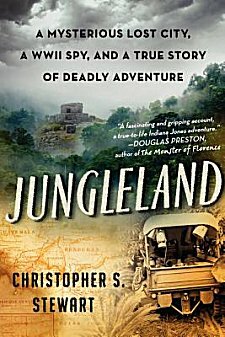 Armed with a World War II spy's personal notebooks and the mysterious coordinates carved into the man's walking stick, journalist Christopher S. Stewart goes to Honduras to see if he can do what the spy (Theodore Morde) claimed he did in 1940: find the Ciudad Blanca-- the white city of gold hidden deep in the rain forest of the Mosquito Coast, one of the wildest places on Earth. What the journalist would learn is that the journey itself oftentimes is more important than reaching a destination. Alternating chapters tell us of Stewart, a New Yorker with a bad back and no fondness for camping or hiking, who decides to go off on this adventure even though there's political unrest in the area. Compared with the chapters on him, the ones about Theodore Morde sound like Indiana Jones. Morde was a seasoned amateur when he set out through the jungle in 1940. He'd already circled the globe five times and covered the Spanish Civil War with Ernest Hemingway and George Orwell. After claiming that he had found Ciudad Blanca, Morde would go on to become a spy during World War II and attempt to assassinate Hitler. I found this book to be uneven. As long as the author focused on Morde and Morde's expedition or on the facts of his own, I found it very interesting. However, Stewart's attempt to show The More Sensitive Side of Explorer Man sounded too much like whining. Blisters, rain, heat, missing his family, listening to his wife whine about things she should have been able to take care of in his absence... these things all brought the enjoyment factor down further and further for me. If you like finite results in books like this, you may want to rethink reading this book. There are no real results to either man's journey into the jungle unless you count what Stewart learned about himself. However, as uneven as I think the book is, it is worth reading if you enjoy the search for lost civilizations. As wired and modern as most of us are, it makes me smile to think that there are still lots of adventures like this to be had on this planet. Cathy - Hmmm...a mixed verdict then. I may look into it at some point chiefly because my daughter was born in Honduras and I take an interest in the country. 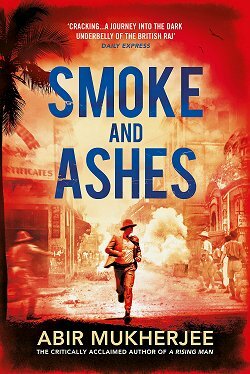 I have to admit that-- besides the Indiana Jones factor, the main reason why I read the book was because it was set in Honduras. This sounds mighty interesting despite your reservations, Cathy. I do like books about searches in the jungle for lost cities. 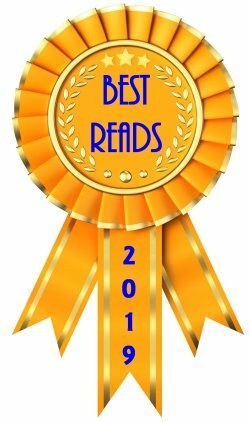 Have you read THE LOST CITY OF Z by David Grann? Similar in topic but oh so well written and imagined. Non-fiction that reads like fiction. I highly recommend it if you haven't discovered it already. 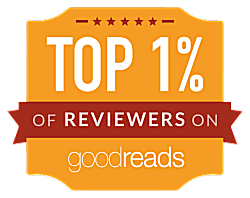 Yes, Yvette, I have read The Lost City of Z, and I really enjoyed it.